No rose comes without a thorn. Likewise, for a pet owner, scattered pet hair everywhere is an issue that cannot be controlled adequately. But there are some ways by which you can remove pet hair quickly and get rid of this irritation to a great extent. These pet hair removing methods may vary depending on the surface you want for. Again, some means may be suitable for short hair while some others may suit long of this. However, to guide you choosing a proper method that matches your situation, here we have presented 7 pet hair removing tools. If the amount of pet hair is not too much, you can use this method efficiently, anytime, anywhere. In this way, you can remove pet hair from your clothes, sofa, floor or even a car seat. To remove pet hair from clothes, you can use a damp cloth or even your own hand will also do the job effortlessly. Moisture adds weight on the sticky strands, compelling them to come out. You can apply the same method to get pet hair off of couches, floor or any furniture, just dampen a sponge or mop. Then run it through the area you want to clean. Problem solved. Another easy and effective way to remove pet hair is using rubber gloves. With a pair of gloves, you can remove pet hair off of your furniture. The surface of the gloves creates tension in contact with furniture surface which causes the fur roll off in hunks. Again, you can apply this method to collect hair pet’s body. Wearing gloves, groom your furry companion. They will love it. And while doing this, grab loose hair from its collection. To keep your house free from pet hair and allergens caused by pet hair can be eradicated effectively with a vacuum cleaner. A hand vacuum with high suction power can remove pet hairs from hard to remove surfaces like carpet, cloth or couch. For a thick, faster and intense pet removing a task, a .pet-friendly vacuum cleaner is all you need. 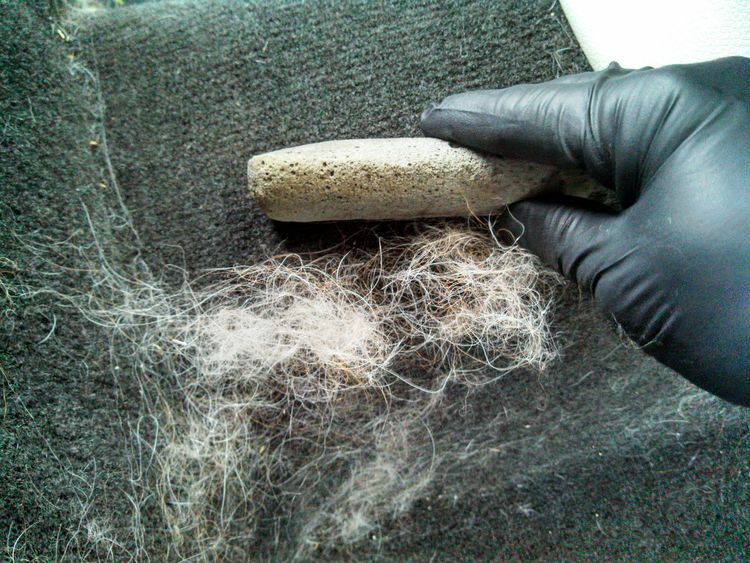 To make vacuuming pet hair more useful, you can sprinkle some water on the couch or carpet. After that, vacuuming would be more precise and flawless. Read more from this website. You can remove pet hairs easily by using some viscous material. To pick loose hair, wrap tape around your hand keeping sticky side out. Then dust your clothes, furniture or car seat. You can follow this ball, made out of tape in your car, dressing table, desk etc. Using lint roller is one of the easiest and effective ways to pick the pet hair up. These lint rollers are not that much expensive. So, they can be used without any tension. But one thing to keep in mind, these lint rollers may not work for a large area in one go. Hence, if you use them for spot cleaning, this would be better. Rubber brooms are another excellent pet hair remover tool which can easily be found in a pet supply store. These brooms work excellently on stubborn on furs, which are likely to stick on different surfaces. The bristle’s static charge attracts the hairs to come up into the brush. Your shoes with rubber sole may also serve your purpose efficiently. Wearing a pair of clean, rubber sole shoes, drag your foot along the rug or carpet and see the magic. All the hair will come out in a bunch. However, these comfortable yet effective methods are beneficial for different types of surfaces. You can use any one of them or apply all options in different situations.